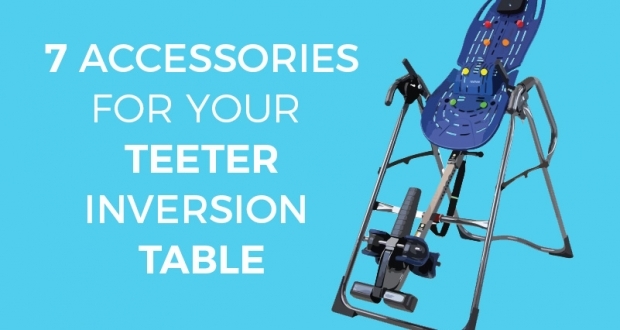 If you are looking for an inversion table but happen to be on the larger side, you may have already noticed that some inversion tables are unsuitable for you. 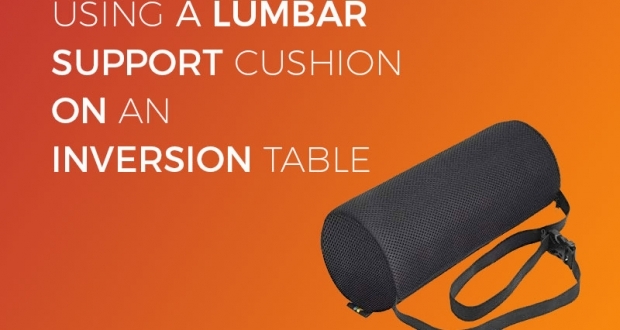 Simply by taking a look on our shop page, you will quickly see that the majority of inversion tables have maximum weight capacities of 300 lbs. The majority of tables also have a suggested maximum user height of 6 ft 6 inches. So if you do feel that the 300 lbs weight capacity is a little low for you or you are taller than 6 ft 6, are there any suitable options to accommodate you? Brands such as IronMan and Exerpeutic often manufacture tables that have a 350 lbs weight capacity. This Makes them a great choice for anyone looking for a little more safety and security when using an inversion table. Both the IronMan Gravity 4000 and the Exerpeutic 975 SL are very good choices if you need the extra 50 lbs of strength to accommodate you. Both tables are also great, high quality choices even if the extra weight capacity isn’t necessary. Another good reason the two inversion tables listed above are good choices for larger folk, is due to the very large bed areas that they possess! The backrest on both models is very wide and robust looking, especially when compared to more streamlined tables. Unfortunately both the Gravity 4000 and the 975 SL are not really ideal choices for those over 6 ft 6″ as this is their maximum suggested user height. The Health Mark Pro Max has a 600 lb weight capacity! Are there inversion tables that can hold even more than 350 lbs? The Health Mark Pro max inversion table has a very high 600 lbs weight capacity. However, due to its robust and accommodating nature it is more expensive than many other inversion tables. 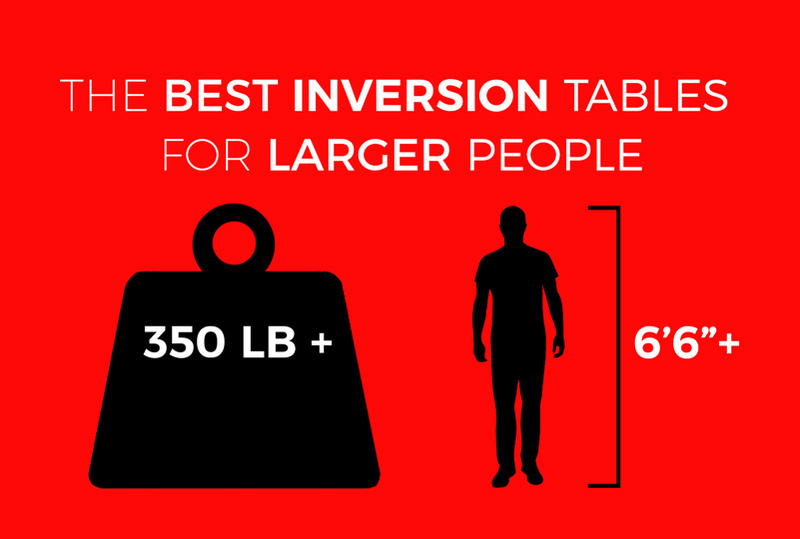 As you will notice, there are very few inversion tables that have recommended weight capacities in excess of 350 lbs. 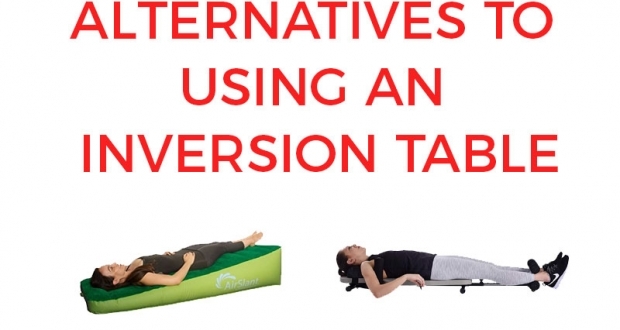 Therefore, if you do require a really strong inversion table, you are fairly limited in choice. 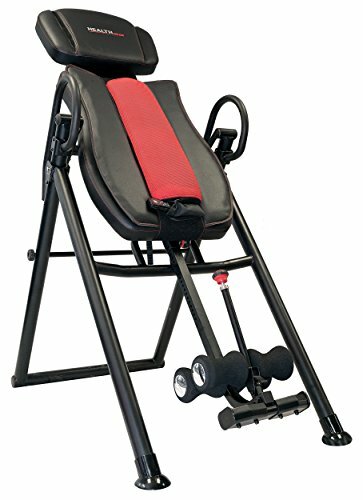 Luckily the Health Mark Pro Max is a very well rated and very unique inversion table to consider. You can read more about the all of the Health Mark Pro Max inversion table features here! As with the two previous tables mentioned, the Pro Max has a maximum user height of 6 ft 6 inches. 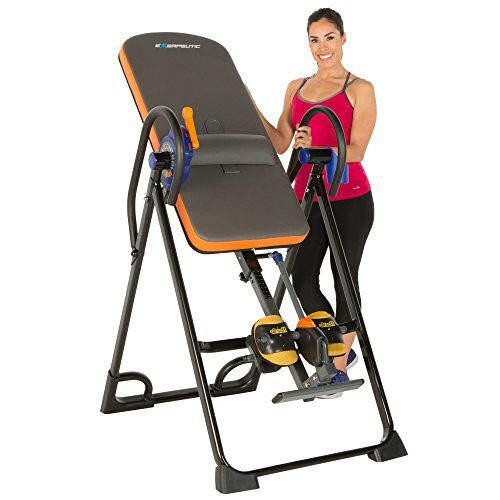 Are there any inversion tables suitable for those over 6 ft 6 inches? As we have already mentioned, almost every inversion table you find will have a maximum user height of 6 ft 6″. There is however one exception that we have found – the Health Gear ITM 7.5 Big and Tall inversion table. The ITM 7.5 from Health Gear is suitable for users up to 7 ft in height. It also features a 400 lb recommended weight capacity limit! Any other options for taller users? 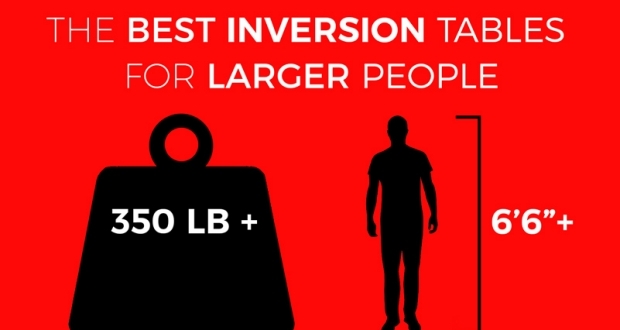 Unfortunately, if you are taller than 6 ft 6 inches your choices are severely limited when trying to find an inversion table to accommodate you. 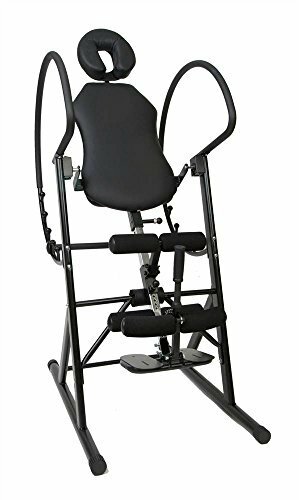 After a fair bit of searching around the internet the Health Gear ITM 7.5 inversion table was the only table found that is specifically designed for taller users. Within these FAQ’s, I have seen someone recommend setting up the inversion table frame balanced on a pair of raised platforms to ensure taller users have more head clearance from the floor when they invert. While this is an option that could be considered, it is not a particularly safe idea and therefore it shouldn’t be recommended. If you are over 6 ft 6″ and the Health Gear ITM 7.5 inversion table doesn’t appeal to you, you may have to wait until some more manufacturers fill this gap in the market. Alternatively, if you are slightly over 6 ft 6 inches you could take you chances with another (max height 6 ft 6 “) inversion table to see if it is a viable solution. Just be sure to check the returns policy on that particular table so you can get your money back if it turns out to be a bad choice of investment!